Momdadatschool create a triangular communication between parents, kids and teachers. 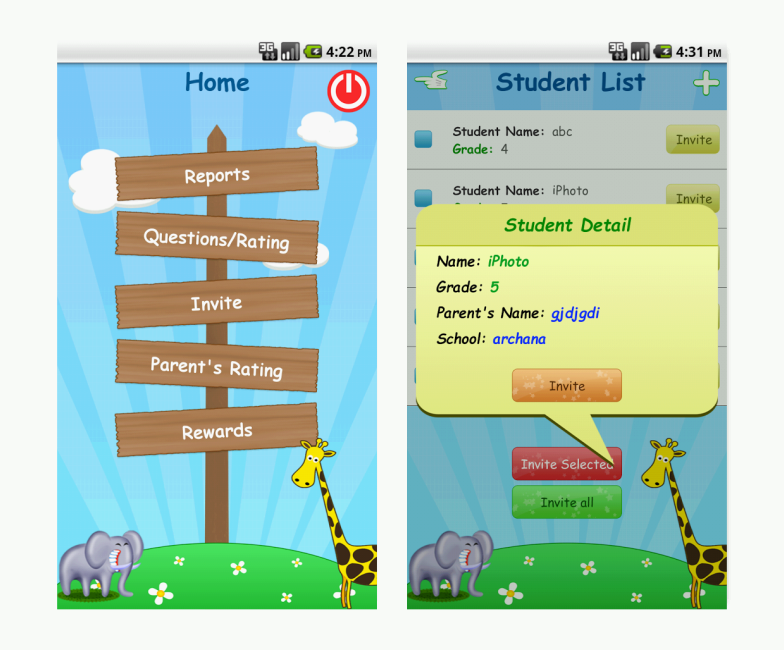 This app is implemented between teacher parent and parent student daily activities, a checks and balances will occur through the student, parent and teacher. The parent can solve the issue instantly or make an effort, the student returns his/her classroom without any pending problems or confusion. Parents wouldn't have to wait for the weekend to solve the issue. Teachers will not be frustrated for the student's repetitive behavior nor the student would be a victim of being bullied. Every student will work with hand in hand with their parents and teachers. Bullies will stop bullying and laggers will go forward by knowing what is keeping them behind. Students will feel that everybody cares. Parents will know what their child is doing in classroom. Teachers will have a room full of good students.